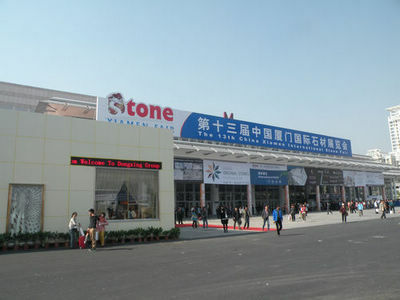 The international exhibition area of Xiamen international stone fair was 32000 square meters, which means that international exhibition area expanded the area of 9000 square meters than last year, increasing of 40%. And the number of exhibitors was also the first of the world, increased by 500 on the basis of last year. Among them, the number of exhibitors in growth of 34%, 29% growth of overseas exhibitors. The exhibitors in this fair represented the highest level of stone industry in the worldwide, the most influential brand enterprise group from domestic and foreign came to Xiamen. The exhibitors from Italy, Turkey, Greece, Brazil and other 13 countries have to scale up, grabbed at the Xiamen international stone fair, Xiamen international stone fair owns international influence and brand appeal again. The number of new exhibitors from Croatia, Romania, Tunisia, Belgium and other countries will showcase their "best" products, and became a beautiful scene of the exhibition. In 2012, the global economic situation was still not optimistic, the development of stone industry was facing great challenge as well. The organizing committee put their attention mainly in Eastern Europe, north Africa, central Asia, southeast Asia and other emerging markets. At the same time, they also actively participated in Izmir stone fair on Turkey, the United States stone fair and so on, which has over 20 international stone and building materials exhibition. 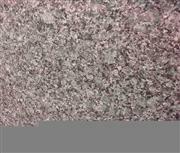 It forms a good interaction and lays great foundation for fair successfully.